In an effort to promote work site safety, OHSA is now offering a FREE consultation program. 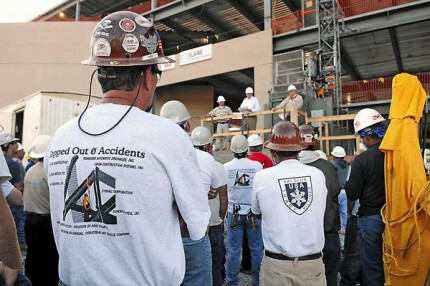 The program is reported to be totally separate from the enforcement side of OSHA. The reports issued are confidential and aimed at helping employers to meet compliance and keep their workers safe. The program appears to be available in every state. Find out more about the program here. Using a free consultation service largely funded by the U.S. Occupational Safety and Health Administration (OSHA), employers can find out about potential hazards at their worksites, improve their occupational safety and health management systems, and even qualify for a one-year exemption from routine OSHA inspections. The service is delivered by state governments using well-trained professional staff. Most consultations take place on-site, though limited services away from the worksite are available. Primarily targeted for smaller businesses, this safety and health consultation program is completely separate from the OSHA inspection effort. In addition, no citations are issued or penalties proposed. It's confidential, too. Your name, your firm's name, and any information you provide about your workplace, plus any unsafe or unhealthful working conditions that the consultant uncovers, will not be reported routinely to the OSHA inspection staff. Your only obligation will be to commit yourself to correcting serious job safety and health hazards -- a commitment which you are expected to make prior to the actual visit and carry out in a timely manner. Learn more about this program on OSHAs web site. A couple of questions are created by this paragraph. 1. What does OSHA mean by routinely in the second to last paragraph. Does that mean that their consultation will actually report information about your job site? And if so, how is it confidential? 2. In the last paragraph OSHA says you are expected to make prior to the actual visit . So OSHA wants you to make corrections before they visit? If so, then how does this consultation occur and what is its purpose. Additionally, it says that correction must be carried out in a timely manner. That kind of sounds like a threat, like if you dont then OSHA will cite you. If that is the case, then how are these visits confidential. Has anyone out there participated in this program? And if so, what was the result, and how are these questions reconciled? Your comments are welcome.